Leigh began her career in the financial services industry in August of 2003. Her father encouraged her to join the industry after she graduated from Fairfield University in Connecticut. After working and learning from her father she experienced significant changes within the economy and decided to branch out and build something new. 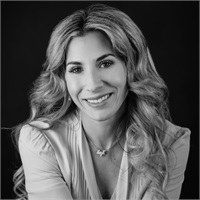 Leigh joined Aegis Wealth Partners an office of National Financial Network to build a practice that allows her to leverage her unique abilities, building relationships and connecting them with each other. Keeping in touch with Managing Partner Brett Amendola from a prior company is a perfect example of how she leverages her contacts, fostering that relationship brought her to Aegis. Now with the support of both Aegis and NFN Leigh leads her practice with a protection first philosophy in mind and introduces clients to resources within the firm to help grow their assets. She is focused on educating young families and small business owners about getting financially organized and protected early so that when something happens they are prepared. After seeing first-hand how life insurance can change someone’s life, that is what motivates her to share the knowledge with the next client and it’s what drives her to continue grow her practice. A pure barre enthusiast in her spare time, Leigh also enjoys spending time with her family, traveling, and exploring new adventures. Leigh resides in Fairfield, Connecticut.